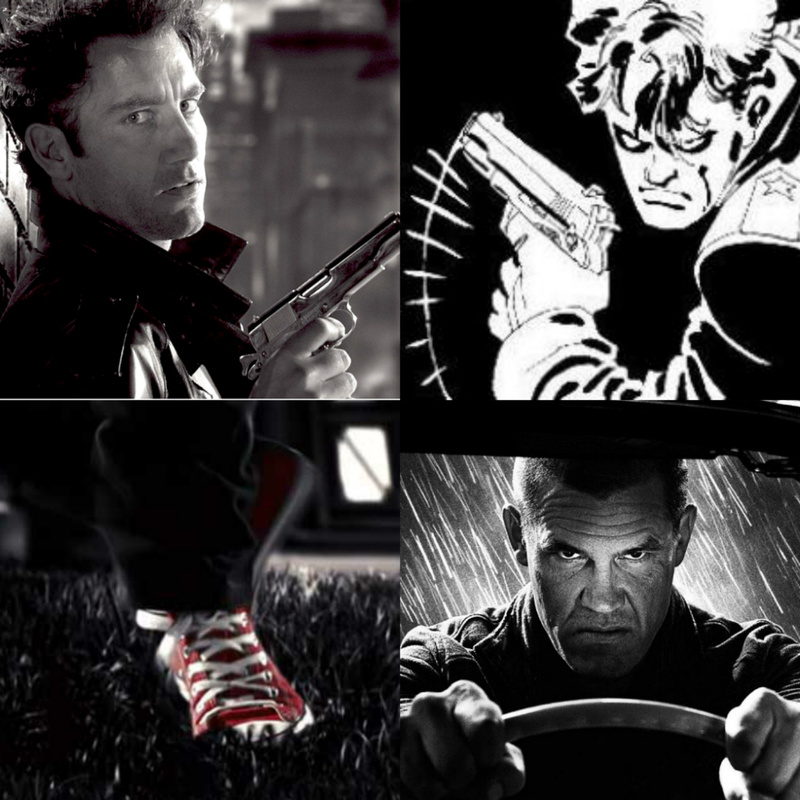 Following Frank Miller/Robert Rodriguez’s neo-noir 2005 Sin City a sequel based on another of the Sin City graphic novel series “A Dame to Kill For”. Originally mooted for release in 2007 it has been constantly pushed back until around 2010 when it looked like it would never happen. In accordance with the new Hollywood bylaw stating that Josh Brolin must be cast in all new movies he has taken the part of Dwight McCarthy replacing the departing Clive Owen. Other changes Devon Aoki (who is pregnant) Michael Madsen (who dropped out), Brittany Murphy and Michael Clarke Duncan have sadly passed away. Dwight McCarthy (Josh Brolin) is called by femme fatale and former lover Ava Lord (Eva Green) asking for his help to get away from her abusive husband. It soon becomes clear there is far more going on than Dwight bargained for. For the film to work the casting of Ava Lord is crucial. The first name mentioned back in 2006 was the seemingly perfect Angelina Jolie. It was even suggested that the original delay was caused by her pregnancy. After she dropped out Rachel Weisz was reported as a replacement but the film never got off the ground. Over time Salma Hayek, Rose McGowan (who was dating Robert Rodríguez at the time), Michelle Williams, Helena Bonham Carter, Scarlett Johansson, Anne Hathaway and Jennifer Lawrence have all been linked or rumoured for the part but Eva Green has finally been confirmed in the role. As with the first film, it is split into sections, it appears they are based on A Dame to Kill For, Just Another Saturday Night and two new stories, The Long Bad Night and one as yet untitled. Other returning cast includes: Mickey Rourke as Marv, Jessica Alba as Nancy Callahan, Powers Boothe as Senator Roark, Rosario Dawson as Gail, Jaime King as Goldie and Wendy, Bruce Willis as John Hartigan with new cast including Joseph Gordon-Levitt as Johnny, Ray Liotta as Joey and Juno Temple as Sally. North American release is set for October, European dates are yet to be announced but are sure to be soon after. Does anyone remember Red Sonja (1985)? I had never heard of the movie until I first saw it on TV around 1990. A sword and sorcery fantasy starring Brigitte Nielsen and Arnold Schwarzenegger (Schwarzenegger gets top billing). 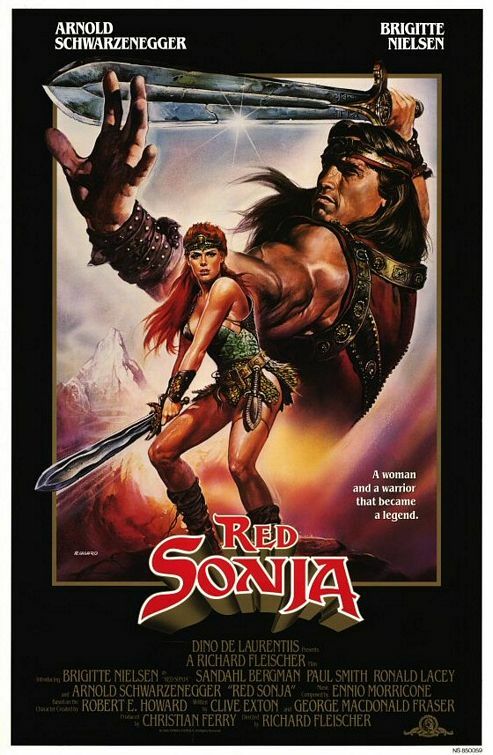 I wasn’t surprised to learn the character was based on a character (Red Sonya of Rogatino) by Conan creator Robert E. Howard’s. Set in the same fictional prehistoric time the “Hyborian Age” as Conan the Barbarian (1982) and its sequel Conan the Destroyer (1984), My understanding is that it was originally intended to be a spin-off form Conan with Arnold Schwarzenegger reprising his role. For some contractual reason the character was renamed (High Lord Kalidor). Sadly the film isn’t very good. Held back by a week script and bad acting it isn’t a patch on Conan the Barbarian and is at best on a par with Conan the Destroyer . But all this could have changed with a Robert Rodriguez reboot. Announced at Comic-Con in 2008 with Rose McGowan is the title role, the movie never got beyond a poster. It has since been reported that Rodriguez failed to raise the required funds to get the movie off the ground. Future prospects for raising funds for a movie like this probably haven’t been helped by Conan the Barbarian (2011) that “underperformed” at the box-office and received a (deserved) critical mauling. Rodriguez protégé Douglas Aarniokoski was set to direct, he has since gone on to make the eagerly anticipated (by me) The Day. Since things went quiet on the Rodriguez/Aarniokoski/McGowan reboot, the rumour mill has been in overdrive. Last November Empireonline reported that Avi Lerner will produce, Simon West (Con Air) will direct and the want Amber Heard as Sonja after having worked with her on Drive Angry. Megan Fox and Rachel Nichols have also been linked with the part. A brief history of the character: Red Sonya of Rogatino appeared in Robert E. Howard’s pulp short story “The Shadow of the Vulture” originally published in The Magic Carpet Magazine, January 1934. The story was set in set in the 16th century around Battle of Mohács and the Siege of Vienna. In 1973 Roy Thomas and Barry Smith re-imagined the character and transposed her to into the Hyborian Age introducing her in the Marvel Comics Conan the Barbarian #23. She has gone on to feature in her own Marval comic book as well as several novels written by David C. Smith and Richard L. Tierney. Her only other screen appearance was on the short lived Conan TV series (1997-1998) played by Angelica Bridges. The Game of Thrones TV show and The Lord of the Rings movies have proved that it is possible to make quality fantasy movies/TV. 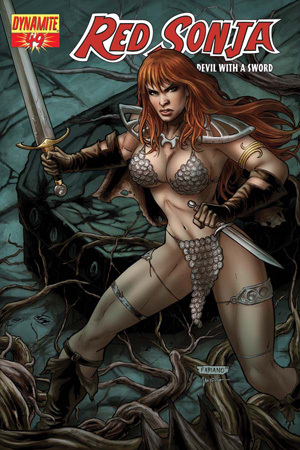 I look forward to seeing what can be done with Red Sonja. I have never been one to go for the universal fallback criticism of a movie “its not as good as the book”, neither do I believe a movie should slavishly follow the plot of its sauce material. 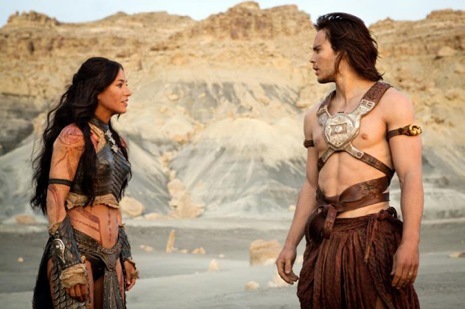 However, my biggest problem with John Carter is how much it differs from the book. Let me reconcile my contradiction, the plot or structure of a book may not lend itself to a movie, the script writers may have better ideas than the author, or in the case of previously filmed novels they may just want to do something new. 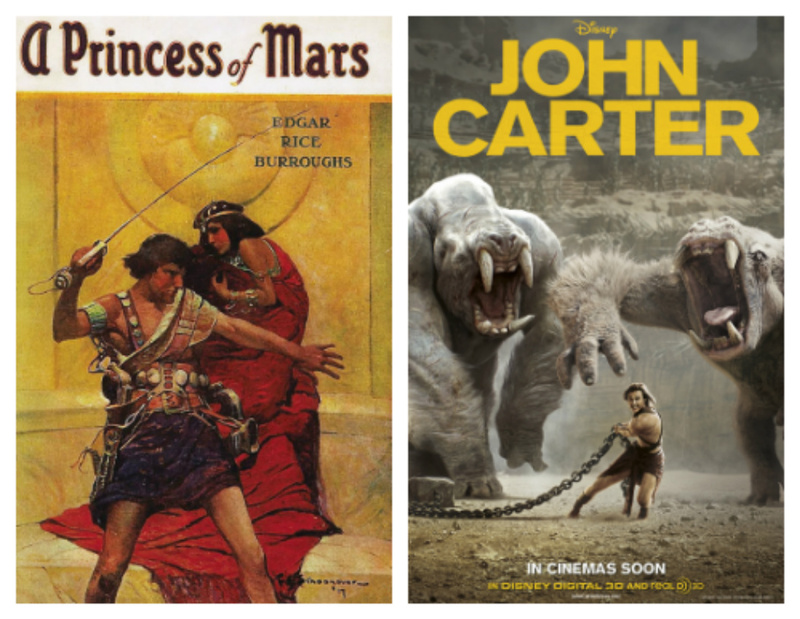 None of these is true of John Carter. Now a century old having been first serialised as Under the Moons of Mars in a pulp magazine in 1912 and then later published as A Princess of Mars by Tarzan author Edgar Rice Burroughs has never been seen on the big screen (there was a direct to video version a couple of years ago, I suspect a chance to cash in on this movie). As mentioned in a previous article I read A Princess of Mars when I was at school and enjoyed it without being enthralled by it. The plot is relatively solid if a little disjointed in places. The movie uses most (possibly all) of the main characters from the book, however the changes in plot drastically changes their actions and motivation. The character who suffers most is Dejah Thoris (Lynn Collins), the movie gives her little to do and less screen time than you would expect. Far more criminal than this is the complete lack of chemistry with John Carter (Taylor Kitsch). How the pair suddenly declare their love for each other could be written off as love at first sight if they had just a little chemistry. The same is true of the “bromance” between Carter and Tars Tarkas (Willem Dafoe) that isn’t given any time to develop (despite the long running time). The movie also introduces characters not present in the book, most notably the Therns, a group of self-proclaimed gods who are actually introduced in the second book Gods of Mars. There introduction changes the whole dynamic of plot, this in itself wouldn’t be a problem and viewers who haven’t read the book would never notice, however the simpler plot of the book involving wars and conflicts between the Martians natives is a far better one. On a positive note the acting isn’t too bad despite the appalling dialogue (that makes George Lucas sound like William Shakespeare). The film also often looks sumptuous and has some imaginative production design that seems to combine some original ideas with Flash Gordon and ideas from the book. 3D is a pointless gimmick that almost never works, true to form, it doesn’t work here. So poor is its use here that more often than not I actually forgot I was watching a 3D movie. The plot is simplified too far then drawn out to over two hours making it dull and tedious. At least it doesn’t use found footage. How could it have been better? According to IMDB Robert Rodriguez was attached as director with a reported budget of $100 million (the actual budget of the movie is believed to be somewhere near £300million. In the hands of Rodriguez it could have been what it should have been, a movie, a high budget B movie. Lets hope The Hunger Games, the nest of the “2012 Movies Based on Novels I Have Read” is better.